I've been a fan of these guys since their early days in the 1980s. Their blend of country rock with psychedelia and even some punk elements has always worked well. A lot of that is because they are just great songwriters and musicians. This new disc really captures the magic of the band well. It's precisely what you'd expect from them, but wrapped up in a new version of their sound. Among the guests on this album are Debbi and Vicki Peterson of the Bangles who sing on "Let It Fly" and "Walls." 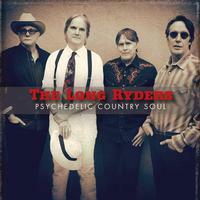 Guests or no, this album shows the Long Ryders in fine form. It's a great addition to their catalog. This review is available in book format (hardcover and paperback) in Music Street Journal: 2019 Volume 2 at lulu.com/strangesound. They power this into being with a cool country meets classic rock vibe. Based more on that classic rock sort of sound, this feels like Tom Petty in a lot of ways. There is some cool fiddle work that is one of the elements that brings some country edge to the track. More of a driving rocker, the country elements aren't completely gone. I love the guitar chording on this. The chorus is tasty, too. I love the guitar sound that brings this into being. It has almost a bit of a punk edge along with the classic rock and country tinged sounds. The guitar solo section on this is a highlight. The country elements are at the heart of this mellower tune. I can make out hints of things like The Grateful Dead on this tune. Harmonica brings something special to the table. Based on a folk music with some country in the mix, this ballad is a pretty one. The strings are a nice touch. The hardest rocking thing to this point, this has a lot of 1960s rock in the mix. 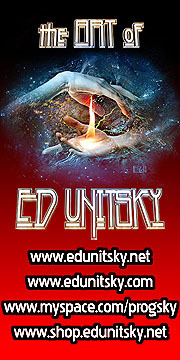 It's a dynamic and powerful tune with some great textures and hooks. Country ballad concepts are at the heart of this piece. It's another that's slow moving and very mellow. I'm reminded of The Eagles quite a bit here. I dig the pop rock vibe on this. It has a real 1960s sound to it. It's accessible and so classy. The twang guitar solo is cool, too. We get some harmonica on this number. This is a cover of a Tom Petty song, and they dedicated it to him. They make it their own while still paying tribute to the man and his music. I like the acoustic guitar treatment that opens this song a lot. As the vocals come across I'm again reminded of Petty just a bit. This has a mellow rock meets ballad structure to it. There is a definitely psychedelic vibe to this cut, but you'd expect that from the title, right? This cut works through a lot of shifts and changes and is so solid.